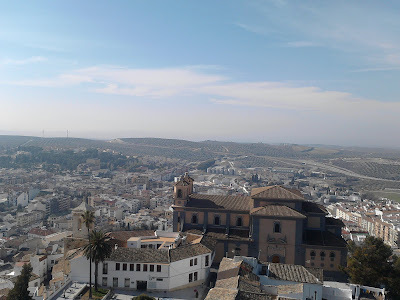 After a fun and enlightening walking tour around Martos with a local historian I discovered bits I´d never been to before and lots about the history of Martos. We covered the Roman town known as Colonia Augusta Gemella to 500 years under Moorish rule until Ferdinand III reconquered it and added it to his kingdom. 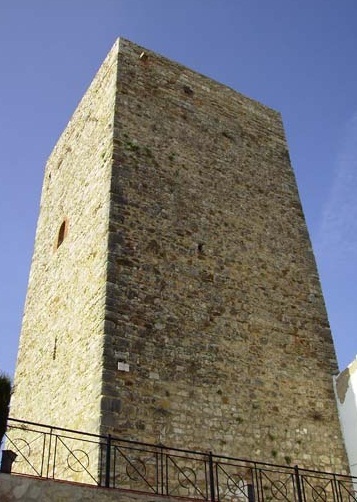 In the middle ages Martos became a strategic post, fortifications were built and others reinforced. After capturing Martos, Ferdinand III put the town under the control of the Order of Calatrava, a group of fighter monks dedicated to protecting and defending the Christian monarchs property from the Moors. 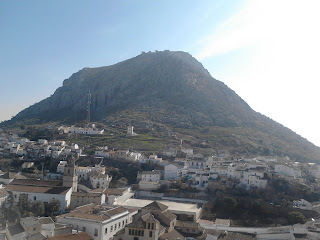 There were two fortified castles in Martos one on the hill Castillo de la Peña on the conical hill was built in 14th century on the orders of the Orden de Calatrava. It was built on the ruined site of an Arab fortress which had been built on the site of Roman fortifications. The other in the town itself, opposite La Peña castle. 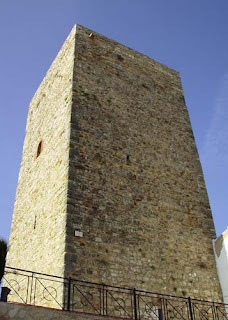 The Torre de Homenaje would have been within the city walls at the highest point of the fortifications. 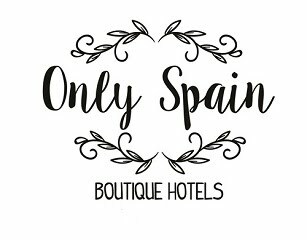 The views from the top of the torre are 360º of pure pleasure, from the Sierras de Jabalcuz, across to La Peña and the whole town with a back drop of Sierra Caracolera in the distance. On a clear day a multitude of other look-out towers can be seen marching from hill top to hill top. It´s said that Jaén province has more castles/towers/fortresses than any other region in Europe.